The popular image of an American megachurch as a sprawling campus surrounding a massive worship center drawing thousands of attendees every Sunday needs some updating. Even as most continue to draw in more worshipers, the typical megachurch sanctuary is shrinking. And some of the largest churches from California to South Carolina are planting their new campuses in the smallest of sites—homes. This comes as church leaders realize sustained growth of their congregation and spiritual growth of their people will come from going small. In the last five years, the typical megachurch’s main sanctuary decreased in size from 1,500 seats to a median of 1,200, according to the 2015 Megachurch Report from Leadership Network and Hartford Institute for Religion Research. The move to smaller sanctuaries is an outgrowth of the burgeoning multisite church movement. Instead of building a large church and asking people to come to one place, megachurches are building smaller spaces in more places. In the midst of this, a new trend is emerging. Larger churches are now launching microsite campuses. “Microsite is a much smaller version of a multisite campus that meets in a home or another small space,” says Allen White, a pastor and church consultant in South Carolina. The Rock Church in San Diego, California, and NewSpring Church in South Carolina are two megachurches that have added microsites to their multisite approach, according to White. White says these microsites allow larger churches to experiment. “If it blows up, that’s how experiments go,” he says. Megachurches may need that infusion of experimentation. A study shows that megachurches—once hailed as a new way to experience church—may be getting stuck in their ways. In 2010, more than half (54 percent) of megachurches strongly agreed they were willing to change to meet new realities. In 2015, according to the Megachurch Report, that number plummeted to 37 percent. As churches grow larger and older, they can lose flexibility. Adding microsites or other innovations allows churches to regain some of what was lost. Those microsites are one of the ways in which larger churches are trying to recapture the essence of being small. Larger churches often recognize what small churches might miss—there are advantages to being little. Through small groups, multisite campuses, and now microsites, those megachurches are attempting to continue their growth while retaining small-church benefits. This is why he believes many churches stall around this plateau. “Once it gets bigger than that, people stop inviting others because they no longer know everyone else at church,” he says. It’s incumbent on large church leaders to capitalize on smaller groups that organically emerge in the church. Whitesel calls these “sub-congregations,” and they mirror other numbers Dunbar found in his research. Groups of 50 can unite around a task, such as the music ministry or preschool volunteers. Small group gatherings of 15 have the feel of an extended family, and groups of five are intimate connections. With this sociological and historical support, church consulting experts identify at least four areas that can be more easily developed in smaller churches. Accountability — With larger churches, anonymity is easier. Attendees can sneak in late, sit in the back of an enormous sanctuary, and leave without interacting with anyone. But this leaves individuals prone to slipping away from the church as quickly as they slipped in. Whitesel says smaller numbers allow people to “connect with a group that brings accountability and interdependency.” If the church goes through changes, being connected to a smaller group—be it a campus or a small group—serves as glue to hold people in place. Community — The main benefit larger churches can gain from going small, according to Allen White, is connection and community. “Everyone desires the experience of being known and accepted,” he says. Microsite campuses allow much larger churches to “meld together the feel of a small group with the production of a large church,” White says. Leadership growth — As with accountability, attendees at a megachurch may be tempted to avoid leadership. They may feel intimidated by the size of the church or a lack of education and training. Going small forces new people into leadership roles. “Once a church is able to train and deploy staff or volunteers to lead a microsite campus, then the number of campuses is limited only to available space and willing leaders,” says White. The opportunities for involvement and leadership are endless, and in smaller settings many may feel more comfortable taking the reins of a ministry. Reproducibility — Thousand-seat arenas aren’t on every corner to start a new megachurch, but that’s not a problem for microsites or small churches. The ease at which microsites can begin makes it possible for them to go viral, according to White. This type of planting churches and starting new sites is not exclusive to megachurches. LifeWay Research’s analysis of more than 800 church plants found more than 1 in 5 were launched from a church with an average attendance below 100. The clear majority (60 percent) were started by churches of fewer than 500. As churches quickly reproduce, mistakes will be made, and they’ll learn what not to do. But White says this means the church is trying to fulfill her mission. “The church as a whole has spent too many years perfecting ministry, but not producing disciples,” he says. Going small allows larger churches to produce faithful disciples in new contexts outside the gigantic arena. 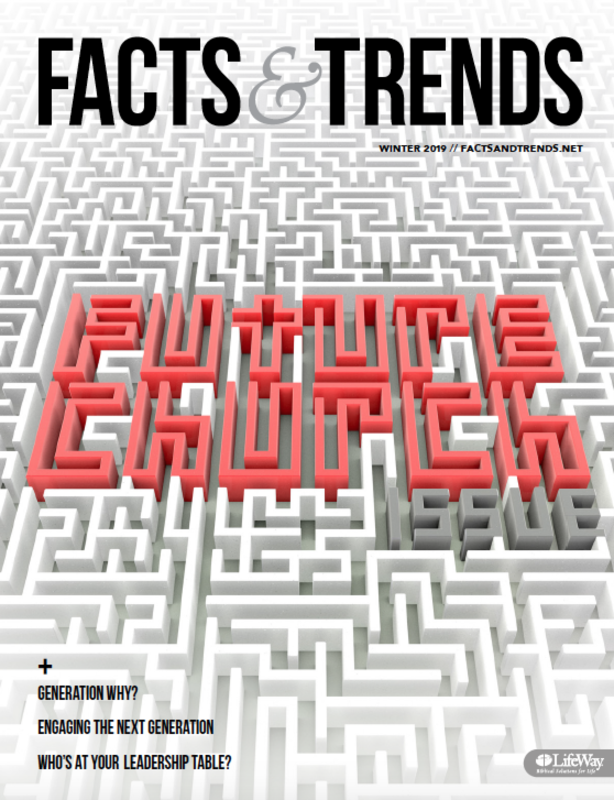 AARON EARLS (Aaron.Earls@LifeWay.com) is online editor of FactsAndTrends.net.